It is going to be a headline for all gadget magazines around the world; it seems Apple, the trend setter, is starting to follow the trend in order to compete with others tablets that are offered in much more affordable price. Well, the invitation emphasized that the rumor about mini iPad perhaps is not a bad rumor at all; there is a little thing they want to show us. It is true that ‘Little more’ here could be anything but you could expect the best thing you want that Apple finally decided offering their new product in friendly price because this third generation iPad will compete with Amazon Kindle Fire HD and Google Nexus 7 which is offered only around $199, and not to mention Surface from Microsoft which will be launched almost at the same time. Even I got dizzy to decide which tablet I will buy before this year is ended. How about you? Have you checked your mailbox today? 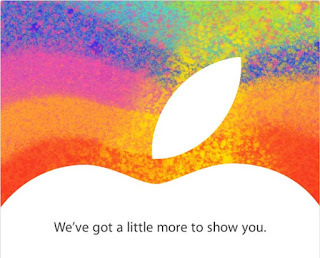 Perhaps there is invitation from Apple to attend an event which will be held on 23rd October 2012. I did check my mailbox and nothing but bills to pay this month, but never mind, still it is a good news I heard from Reuters that Apple will hold an event to launch, according to the rumor, is the new Mini iPad. Well, rumor has it; this new Mini iPad will become a problem for Microsoft which will introduce its new Surface Tablet as well as Microsoft’s new operating system, Windows 8, on 26th October 2012. Why does it become a problem? Still, according to the rumor, all potential buyers for Surface Tablet will reconsider their choice of purchasing this gadget if Mini iPad is released at the same time. So, what you are going to choose this October? Surface Tablet or Mini iPad? This gadget, as mentioned above, is produced by Microsoft. This gadget will be available in two versions, the first is Surface which is using Windows RT as the operating system and the second version is Surface Pro which is using Windows 8 as the operating system. Both tablets have 16:9 aspect ratios with screens of 10.6 inches or around 27 cm and coming with Clear Type HD display technology from Microsoft that could support auto-adjusting screen intensity as well as ultra-wide viewing angle. 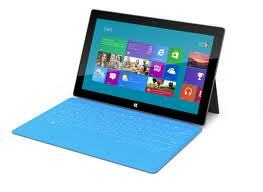 Surface will be available this October while Surface Pro will be available three months later. As usual, Apple is always very secretive when it comes to their new product. Unless you attend the event next Tuesday, you would never know what mini iPad will look like until the date their launch it. 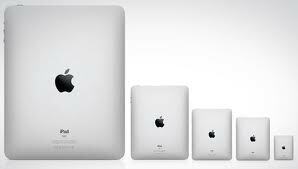 The rumor said that this new mini iPad will have screen size around 7 – 8 inches, and that’s it. Since it is a mini iPad, that news is not really surprising. I’ve been searching and as usual, zero updates for hardware, applications and so on. It is true that it will be very difficult whether you are going to choose Surface or mini iPad because you should compare them first. The problem is you should wait until mini iPad launched before you could compare them. It is actually what Microsoft fears the most, whoever who wants to buy Surface will delay their decision until mini iPad is fully released in the market. Well, since I’m living in the middle of nowhere with limited access to bookstore, I found free e-book is the solution for my reading hobby. It is true that you cannot depend on online bookstore to send the book on time where the only address you could provide is latitude and longitude to determine where you are currently living. However, I know what piracy means is, so stop educating me. I have my own library back home so I promise to you guys that for each free e-book I have downloaded, I will buy the original one, the problem is I just cannot wait until I get the book in my hand to read it. That is why free e-book is the solution available here. So, how about buying original e-book? Well, I’m not rich, I have to save money and do diet to buy books, so be nice to me okay. I don’t want to buy the book twice. The problem is with Google Panda is hovering around; I found it becomes difficult to find free e-book recently. I used to read e-book in PDF format which is much more comfortable. However you cannot just Googling ‘book title’ PDF download and find the e-book right away. You should do a lot of tricks and enter several websites until you find the e-book. So far, I never failed to find the e-book I want to read but yeah some e-books required a lot of time to find, especially e-book in PDF format. However, I have a solution here. Rather than looking for e-book in PDF format, which is becoming more difficult, it is better for you to find e-book with EPUB extension. Yes, it is much easier now to find e-book in EPUB extension since people right now prefer to read e-book than printed book. The question is how to read EPUB files? Well, there are a lot of devices that provide application to open EPUB files. However, for you who don’t know where you should go for the application and you just need to simply read the e-book from your computer, you don’t need to worry, you could use your Mozilla Firefox to read EPUB file by getting ads-on EPUBreader. Once the ads-on fully installed, just dragging the file you have downloaded to your Firefox and voila you could start reading.